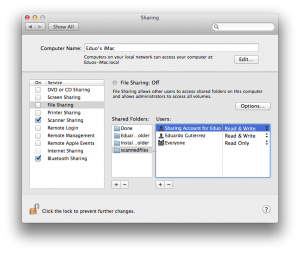 If you’re using SMBUp to share files through Samba in Mac OS X Lion and Mac OS Mountain Lion, it’s possible you’ve found a problem trying to create new users to share with, along with other issues. This post aims at solving some common problems and explain doubts about the program and its design decisions. 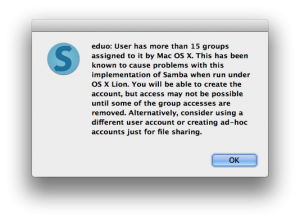 Fact is Apple doesn’t even try to fix some of the internal calls Mac OS X receives from Samba on one side and Samba has no intention to support Mac OS X after Apple dropped support for them with Lion. How can I uninstall SMBUp? The Samba installer from SMBUp doesn’t complete. How to install Samba manually? 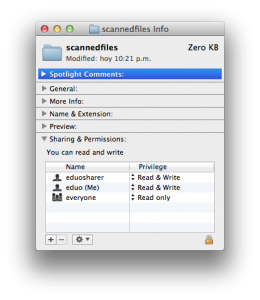 How can I scan from my network scanner/MFD into my mac’s shared drives? Paste each one separately. 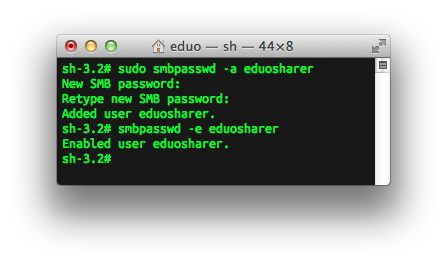 Keep in mind the first command will first ask for the administrator password and then for the password for the new user, twice. Replace “newuser” with the user you created in the previous step. If you have Samba installed in a different route replace “/opt/local/bin/” with the proper path. Share the folder in SMBUp if you haven’t already done so. 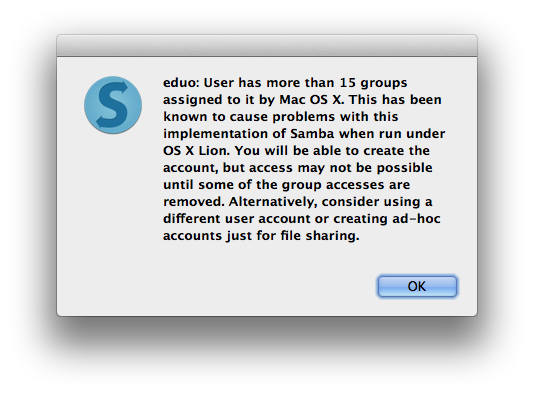 To correct this you need to create custom sharing-only users in OS X and add them to Samba directly from the terminal. 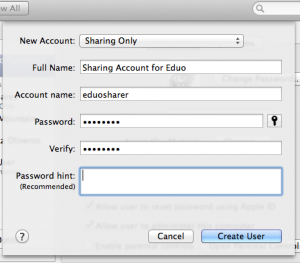 Follow the steps in question “How to add sharing-only users to SMBUp/Samba shares” to create these users. As mentioned in the main SMBUp page this is a necessary side effect of insalling Samba. This is because samba installs its own netbios and SMB managers. 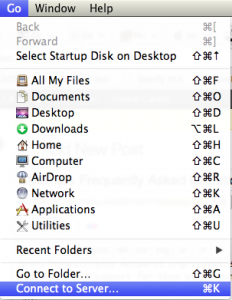 These replace the native OS X ones, which is what OS X uses to “discover” network servers. A workaround is to connect to shared drives directly and drag them to the sidebar to create shortcuts for them. 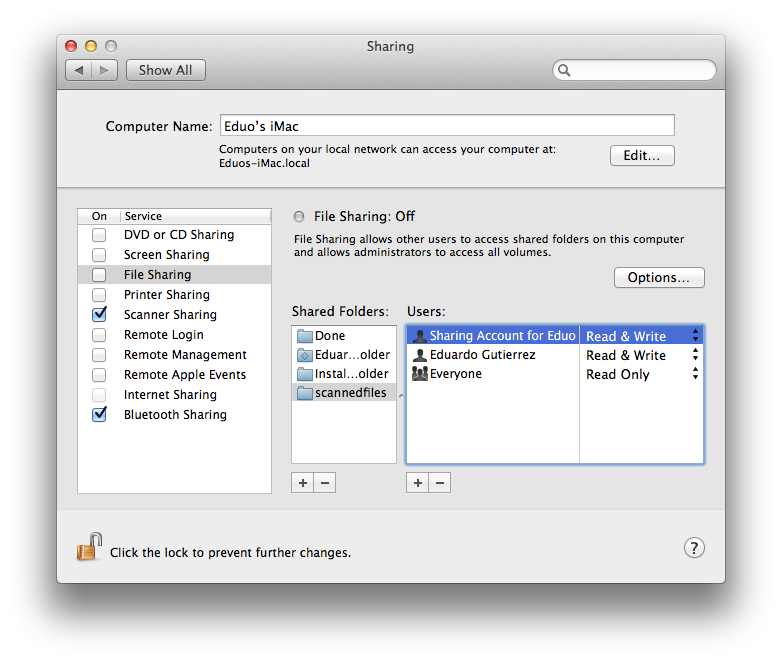 In System Preferences -> Sharing -> File Sharing: Check (if unchecked) “Options -> Share Files and Folders using SMB” and uncheck it again. In System Preferences -> Network -> Advanced -> WINS: Change your NetBIOS Name to something else and change it back to what you wish it to be. If the above doesn’t work, execute these commands in the terminal line by line and restart afterwards. Keep in mind you’ll be asked for your administrator password. 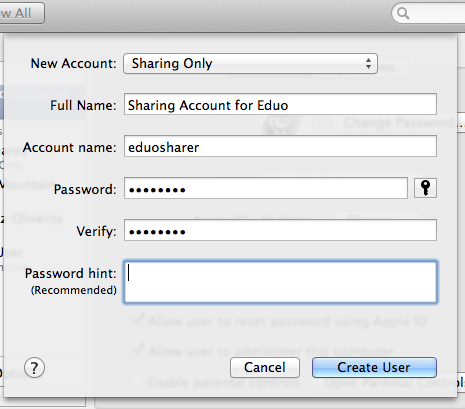 After the above, go to System Preferences and set-up your sharing permissions as you wish. SMBUp includes a menu and screen to uninstall some or all packages it installs originally. By default the only items marked for uninstall are the scripts that run Samba and the installer files. This means the services would stop running but the files would be kept for future needs. If you decide you don’t want any trace of SMBUp then you can check “All Installed” and all files should be marked for deletion. Sometimes the integrated Samba installer from SMBUp may hang in the “Preparing to Install…” section. When this happens, if you’ve been waiting for activity for more than 10 minutes, you can safely force-quit SMBUp and install manually. To be able to install manually you can check if you have a Samba installer disk mounted on your mac and use the installer in it or, if you prefer, download Samba from here and use it instead. 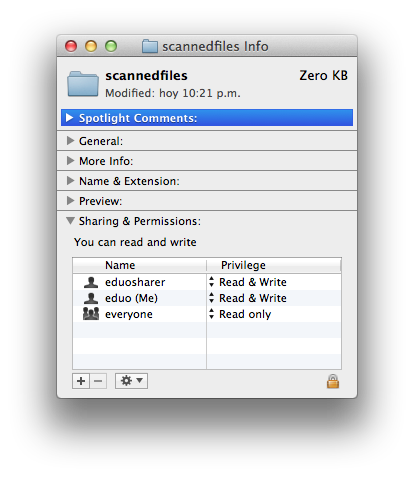 Instructions to scan to network folders shared with Samba through SMBUp should be similar for most platforms. 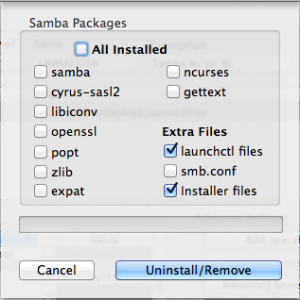 solution is reinstalling samba from the Samba installer that SMBUp includes.